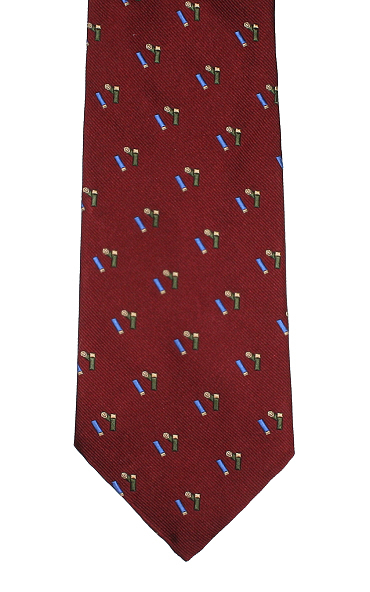 A clay pigeon shotgun cartridges tie with blue and green embroidered motifs on a red background, milled and stitched in the UK. A nifty small shotgun cartridge flask made from stainless steel for carrying your favourite tipple! An exquisite large handkerchief with a country shooting scene showing shooters, gundogs, pheasants and ducks in burgundy made from pure English silk.